Sirnagar: Armies of India and Pakistan on Monday morning exchanged cross-border shelling in Karnah sector of north Kashmir’s Kupwara district. According to reports, Pakistani troops fired on Indian army’s Black Rock Post of 20 JAT Regiment with mortar shells. However, there were no immediate reports of any causality. An official said that alert soldiers manning the fence also responded effectively and no casualties have been reported from the area. Earlier on Sunday late evening, the gun fires were also exchanged in Tanghdar sector in Kupwara, however, no loss of life or injury were reported. 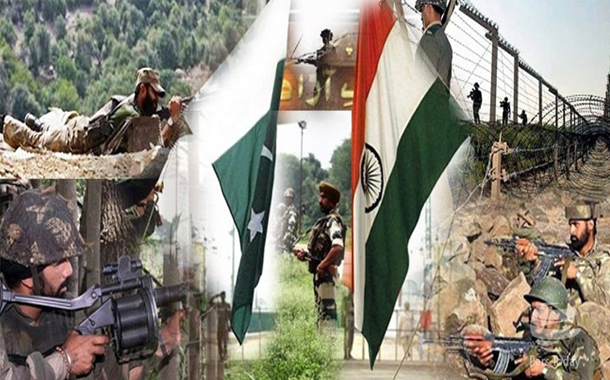 According to the Pakistani military sponsored publication (ISPR), the Indian army has once again attacked the population of population, violating the Saeed-fighter agreement on line-off control. According to Spokesperson Pak Army, the Indian army fired on the LOC in Kot Kot area, resulting in a citizen 51 years old Guftar Hussain death, who was carrying out cattle from there.